I’ve had a lot of conversations lately with new bloggers who want their posts to resonate with the SEO gods, but aren’t quite sure what their keywords are. Unless you have prior SEO experience, you’re going to need to hire someone to determine those for you. Here’s why: if you are a dry cleaners in Chicago, that does not automatically make your keyword Chicago dry cleaner. It seems like it should, but it doesn’t. The reason is there might be 500 other dry cleaners trying to optimize that key word. Meaning, there is intense competition and no way you can dominate that key word without spending thousands of dollars a month on an SEO campaign. However, maybe there are 50 people a day searching for – best dry cleaner in Chicago. And there aren’t any dry cleaners trying to be number one for that phrase. 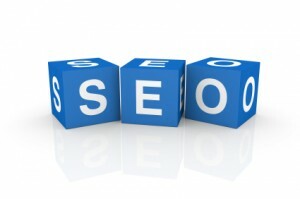 That means there is low SEO competition, and you could easily dominate that key phrase. Which is where a professional comes in. Determining your key words is an art and a science and is more than brainstorming a few words that describes your business. It’s determining what people are actually searching for vs. how hard it is to dominate that key word. Just because you think most people would search for dry cleaner in Chicago doesn’t meant they are. It just means you think they are. SEO is extremely important to small businesses, and I strongly suggest everyone run an SEO campaign. However, unless you’re certain of your keywords, there really isn’t a point. If you are thinking of starting an SEO campaign and need an SEO expert referral, I’d be happy to give you one. I understand SEO is confusing so please leave any questions in the comments and I will do my best to answer them. Do you know your keywords? How did you figure them out? Yes rebecca your are right your seo campaign isn’t working because you are not targeting right keywords for your business. But in seo there are various factors which should be considered to know where your seo campaign is heading. Like your site, heading tags, content, domain, tags & more. Well, there are various tools available online to find out the right amount of keywords for your business such as Google Keyword tool, wordtracker, keyword discovery etc. If you are targeting “best dry cleaners in chicago” & there is no competiton for that keyword then you might dominate search engine ranking but you’ll not get traffic for your site because there is no search volume for that keyword. You should try for “dry cleaners in chicago” if you found that there is high search volume for this keyword by taking initiative of optimizing the site with on-page & off-page because SEO is all about challenges.